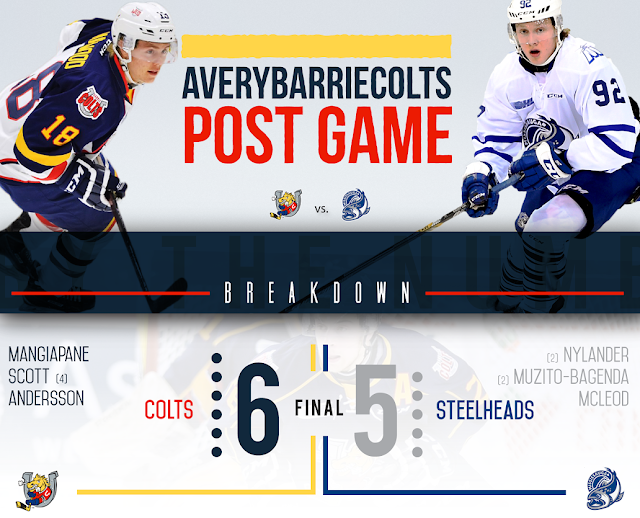 Game Recap: Colts catch Steelheads in overtime. 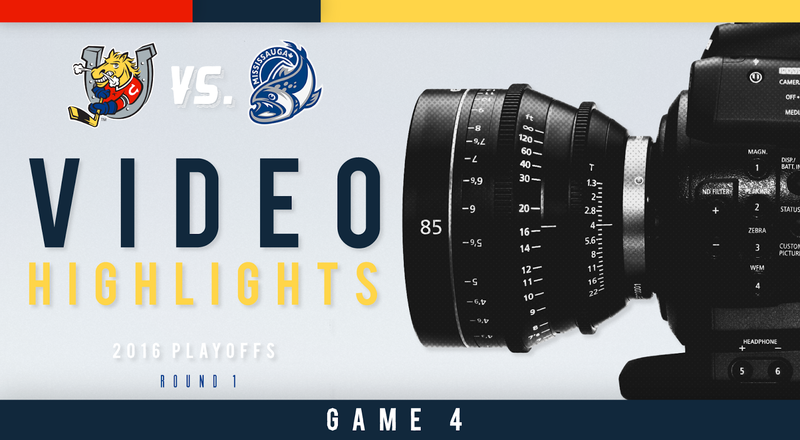 (w/ Video Highlights) #OHL - Very Barrie Colts | A website covering the Barrie Colts of the OHL. Last night the Barrie Colts defeated the Mississauga Steelheads 6-5 to tie the Eastern Conference semi-finals series 2-2. It was also announced before the game that Mackenzie Blackwood would be dressed as back up goalie while David Ovsjannikov would get the start. David Ovsjannikov gets start in goal tonight for the Barrie Colts. Last night the Colts found themselves in a position they never have before. They got themselves into a lot of penalty trouble. APRIL FOOLS! They get penalties all the time! Okay now that we got the jokes and trickery out of the way.. So, we made it like it was a joke but the Colts did get into penalty trouble last night and it cost them early. Adrian Carbonara took an early slashing call which resulted in a power play goal for the Trout. Alexander Nylander would score the power play goal which is his 5th goal of the playoffs and would give the fish a 1-0 lead. It needs to be noted that this goal was beautiful. If you missed it, be sure to check the highlights below. The Colts would strike back early though! With another penalty.. Anthony Stefano would take an unsportsmanlike conduct penalty which saw the Colts on their second penalty kill of the night. 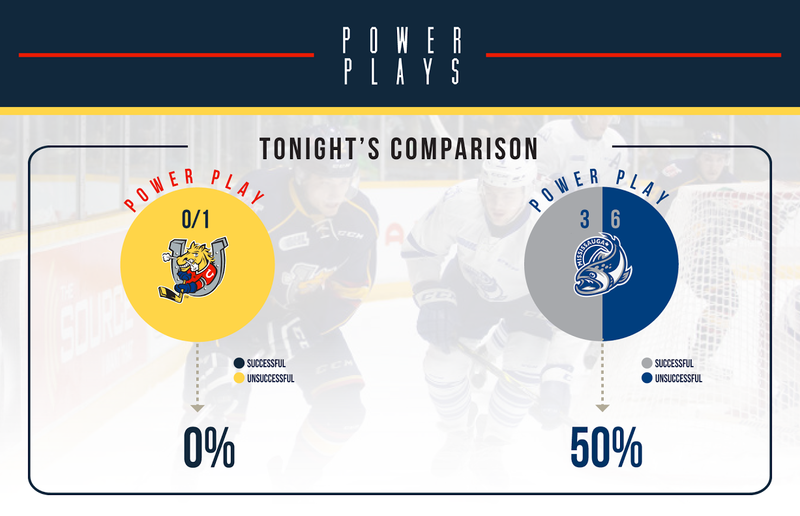 However, this time the Colts would make the Steelheads pay when Andrew Mangiapane would score (with the help from a trout in front of his own goal) to tie the game with 39 seconds left in the Mississauga power play. The game was tied 1-1. A little over 3 minutes later the Colts would strike again with a Justin Scott goal give the Colts their first lead of the night. The goal was Scotts 4th of the series and Labanc and Andersson were both credited with assists. That would be it for the first period. Colts lead 2-1. Barrie had the edge in shots 12-8. Mississauga would not wait long in the second period to tie things up when Daniel Muzito-Bagenda put up his 4th of the series to tie the game 2-2. Hague and Sadowy would get into fisticuffs shortly after in hopes of sparking their teams. 12:41 into the period the Trout would take back the lead on a Michael McLeod goal. The goal was his first of the Playoffs. A little over 2 minutes left in the period and Rasmus Anderson would put up his second goal of the series with a wrist shot from the point. Webster and Labanc both credited with assists. And that would be it for the second period. Colts and Fish tied at 3-3. Colts with 16 shots compared to 10 by the Steelheads. Despite a shot advantage, the Colts were mostly outplayed this period and didn't have the energy they did in the first period. Colts came out knowing how important this period was for their series and knew a disciplined game was needed. So 8 seconds in Andrew Mangiapane would take a really bad slashing penalty. 1:13 minutes later, Kevin Labanc would get called for hooking. Both really bad penalties but I think it should be noted that there were overlooked plays from Mississauga that never got called. However, the Colts were stuck down two men. 30 seconds into the second penalty Mississauga would take back the lead with another DMB goal. Mississauga was up 4-3 and still had 17 seconds remaining on the second penalty. Lizzote would find a way to take a tripping call to give the Trout another chance with the 5 on 3 advantage which saw another Nylander goal to increase the Trout lead to 5-3. Barrie began to push and it would be Justin Scott with his second goal of the night at 7:40 to bring the Colts within one goal. With a little less than 4 minutes it would be Justin Scott that would get his hat trick and tie the game 5-5. Colts out shot Mississauga 15-12. 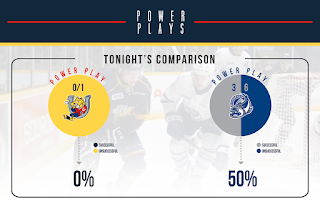 Mississauga came out hard generating 4 shots early in the period but Ovsjannikov was up for the task. Then when play went the other way it would be Justin Scott again to get the puck past Jack Flinn for his 4th goal of the night, 7th of the playoffs and the game winner. Colts tie the series 2-2 and head back to Barrie for Game 5! - Ovsjannikov was mostly good for the Colts stopping 29 of 34 shots faced. - Colts had the edge in shots 44-34 but only won 29 of 70 face-offs. An area they will really hope to work on before Game 5. - Trout captain Josh Burnside was a -4 on the night and put one of the Colts goals in his own net. For those who missed the game, want to relive highlights or just want a peek at some of the action. This series returns to Barrie this Saturday night for Game 5. Puck drop set for 7:30!